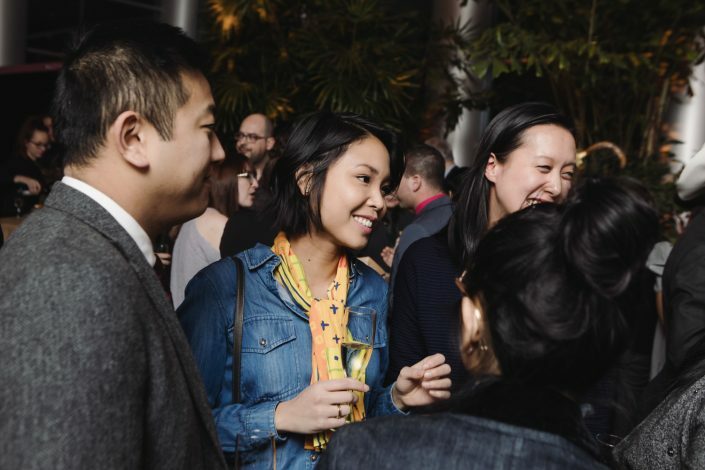 Will you be among the 500 members? 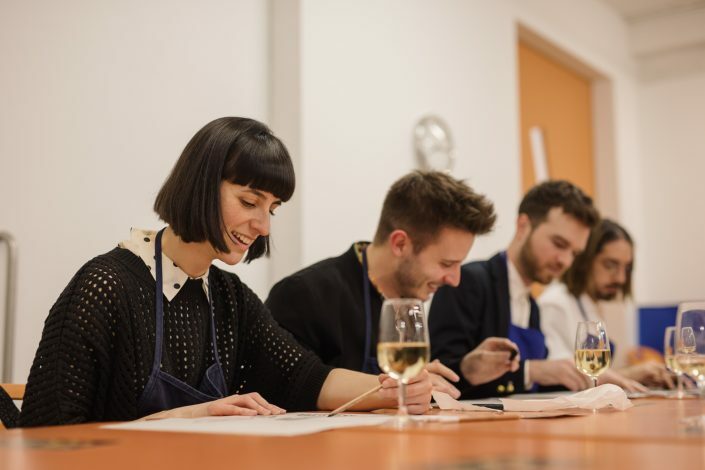 Hurry, there are only a few places left! 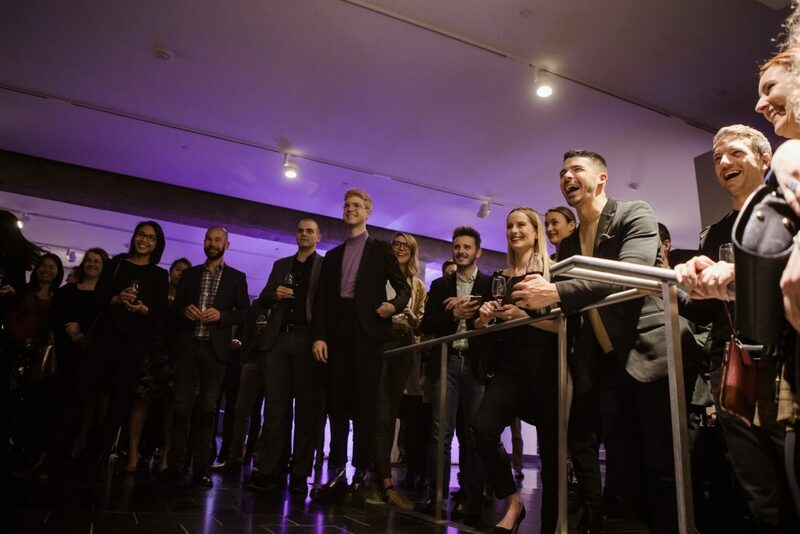 The Montreal Museum of Fine Arts’ Young Philanthropists’ Circle is a group of young professionals like you who love culture and philanthropy. 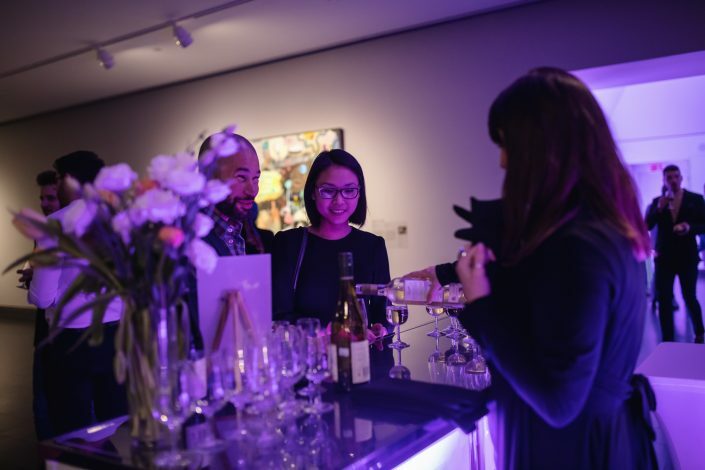 Members get together for various events that provide an opportunity to socialize and network while learning about art and philanthropy. 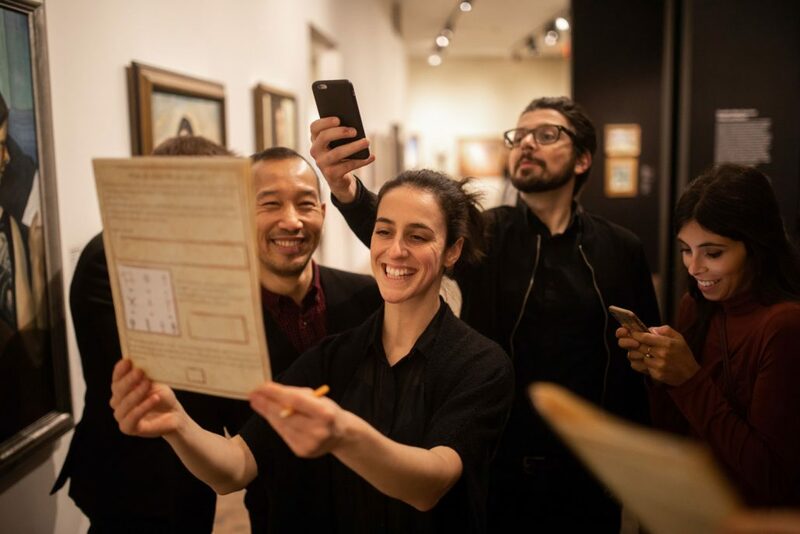 3 Unplugged events + 4 Art Series! 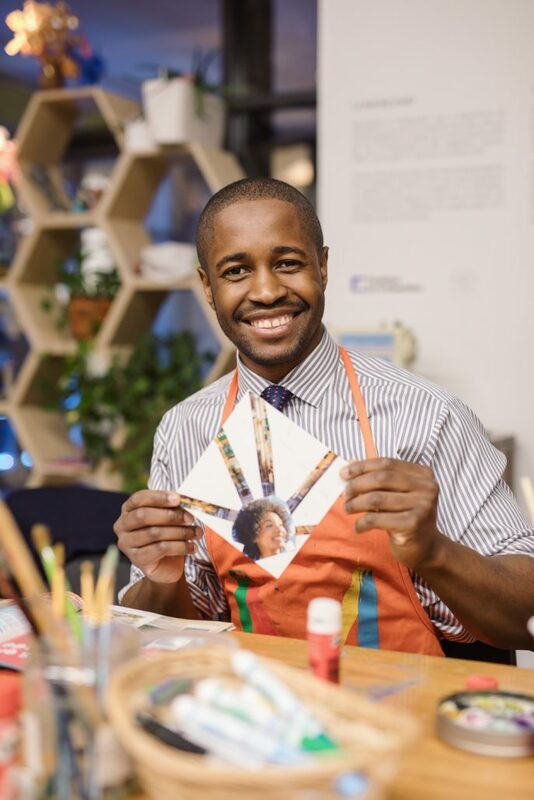 Buy your Young Philanthropists’ card online ! Art Chat No. 14: A look back at Escape Room, an unforgettable evening! 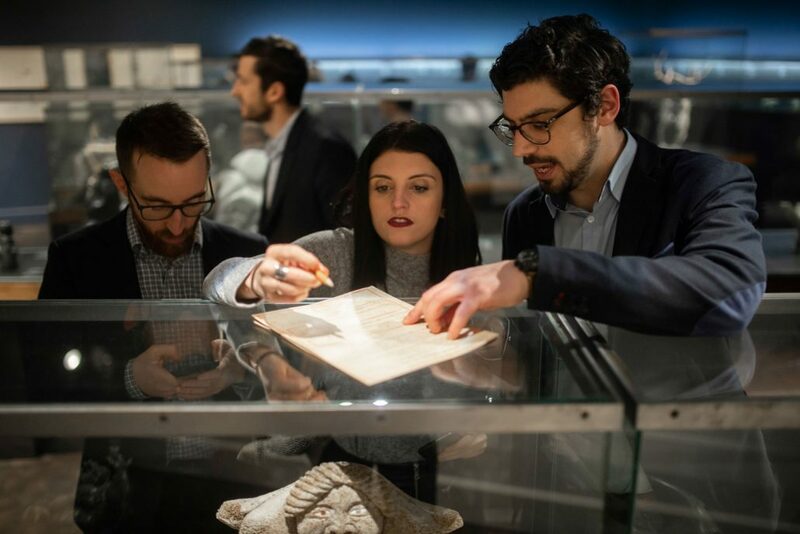 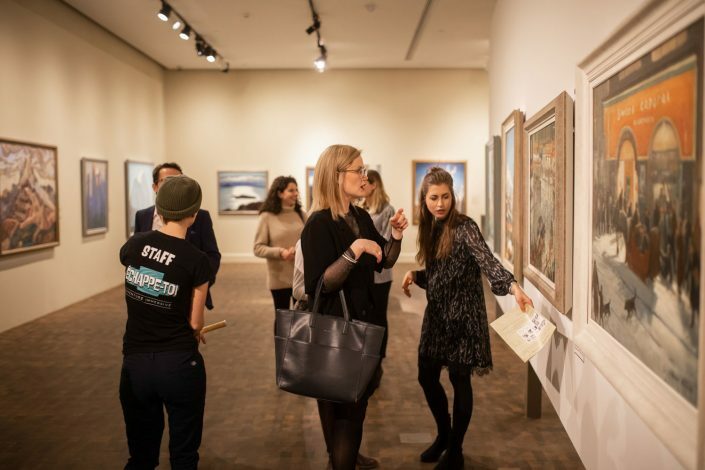 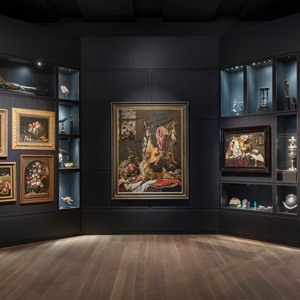 On January 31, members of the Young Philanthropists’ Circle (YPC) of the Montreal Museum of Fine Arts (MMFA) had the opportunity to participate in an escape game hosted by professional actors, a concept never before presented at the Montreal Museum of Fine Arts. 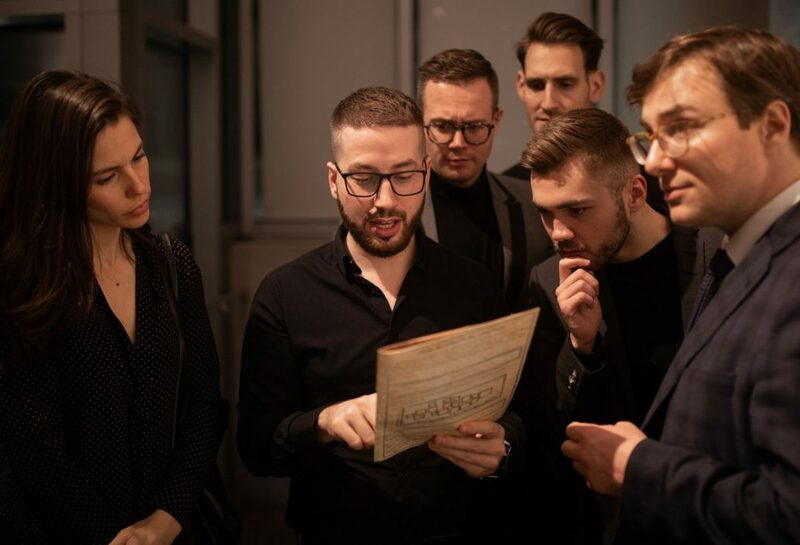 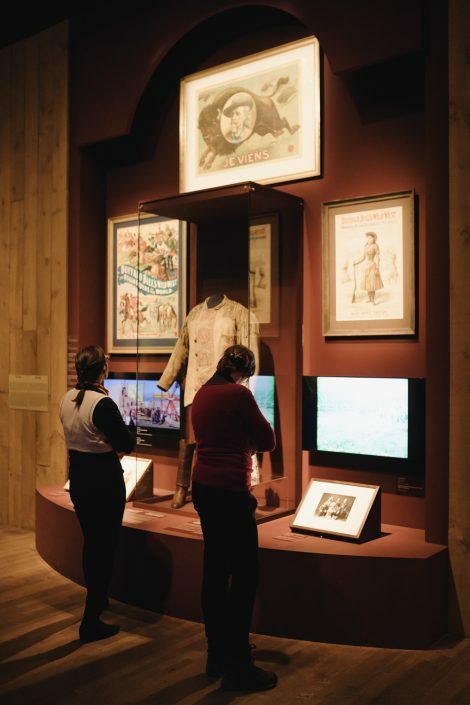 It was an evening full of clues that led participants through the four levels of the Claire and Marc Bourgie Pavilion to find the original score of the Canadian anthem. 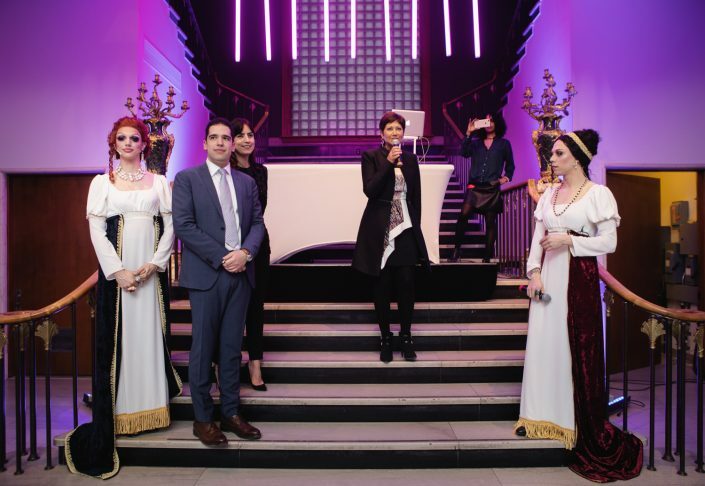 The Circle wishes to thank its partners for this memorable evening: ABP, Crowd, Eska, Forand, Gateaux Bourgeoys, Select Wines, Sofa To Go, SLK RD Catering. 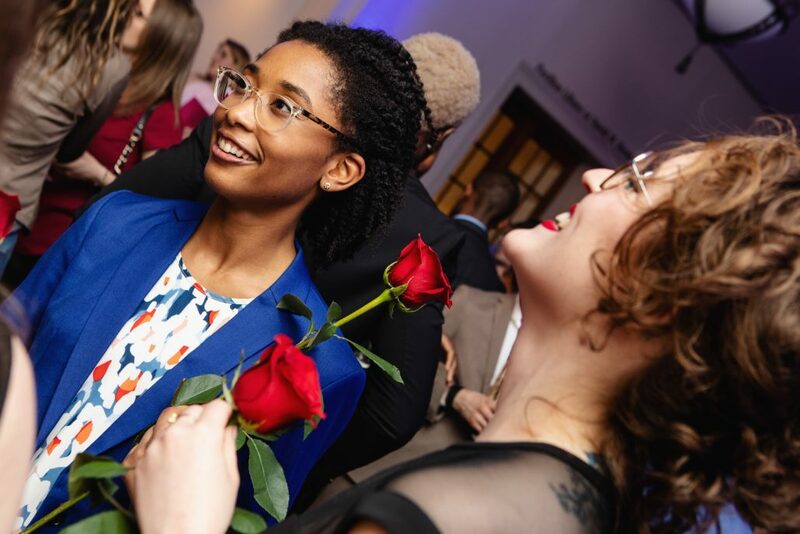 Many of you came last Tuesday to celebrate the Young Philanthropists’ Circle’s (YPC) last Unplugged event of the season, presented by National Bank. 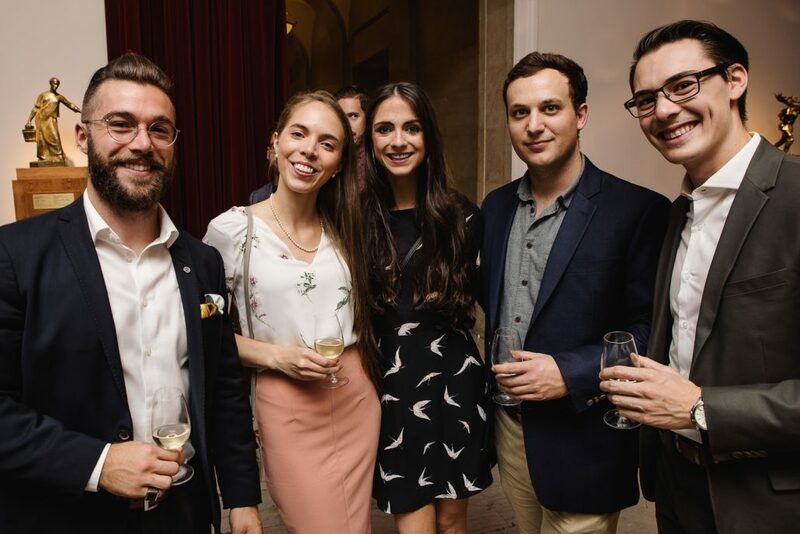 In their most regal outfits, YPC members and distinguished courtiers had the chance to visit the exhibition Napoleon: Art and Court Life in the Imperial Palace for a last time. 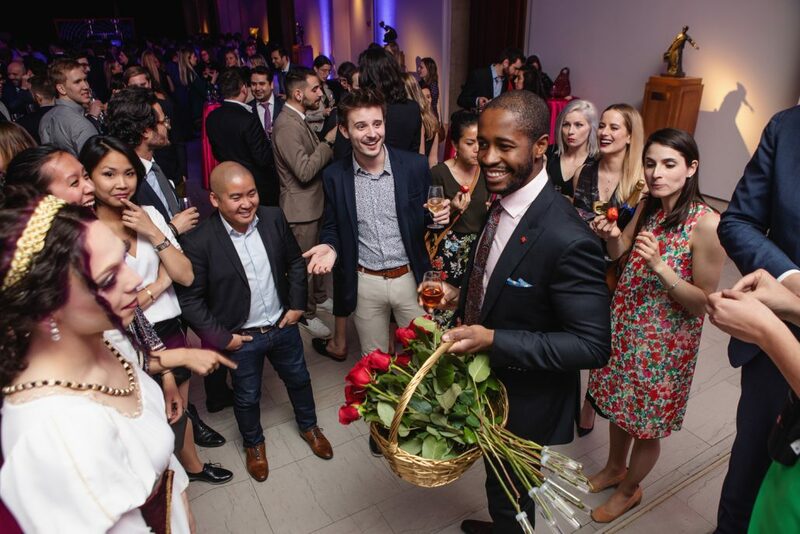 What could be more Napoleonic than enjoying the divine company of flamboyant artists and prestigious minuet dancers, and feasting on a banquet by some of Montreal’s greatest institutions: Lemeac, Kyo, Pizzeria 900 Griffintown and Point G. Not to mention the perfectly paired nectars from Maison Courvoisier and Univins wines. 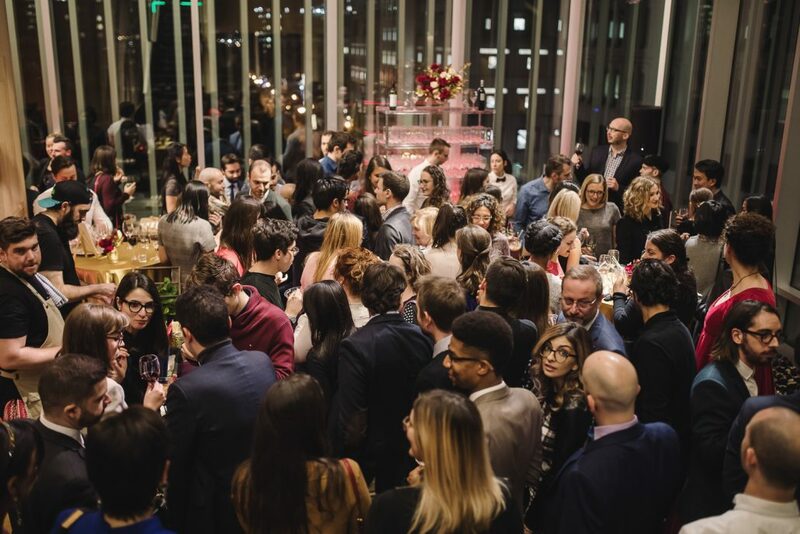 The Circle would like to thank its event partners Roche Bobois and Maison Christofle, as well as its official suppliers: ABP Sofa to Go, OXO, Forand Évènements, Rise and Eska. 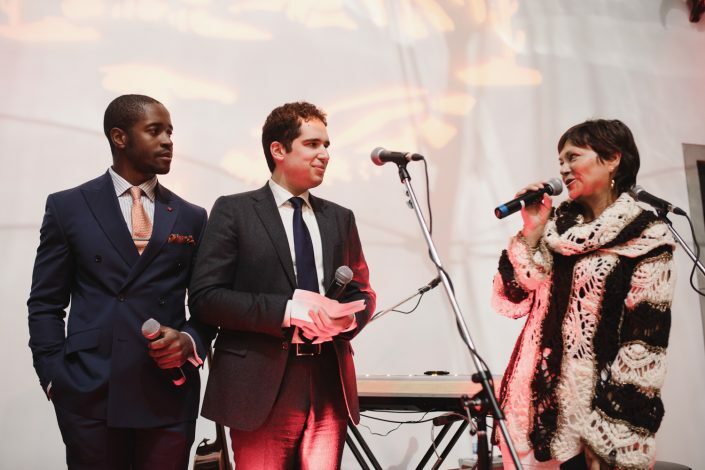 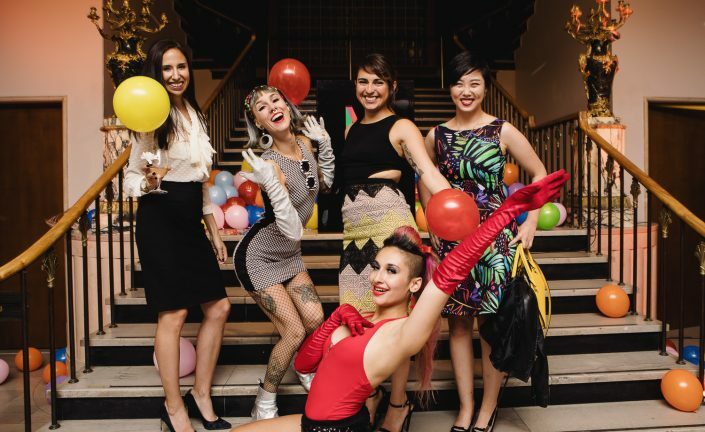 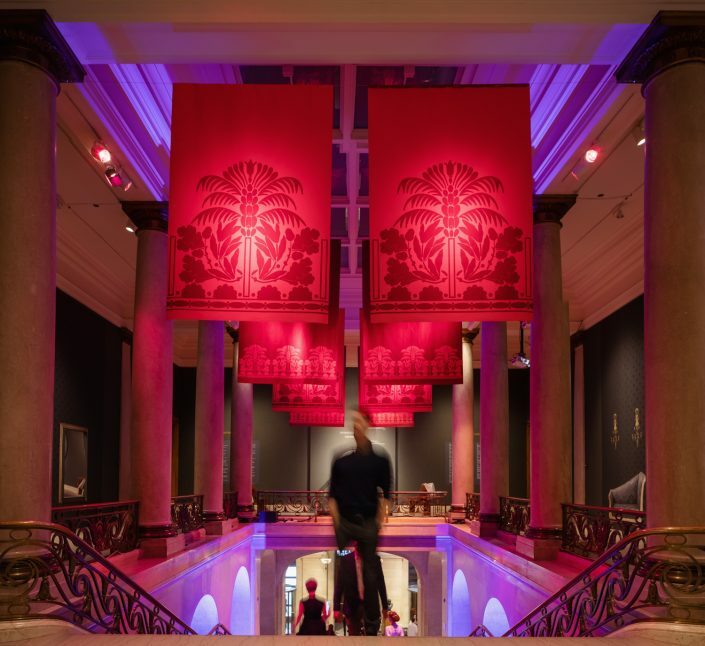 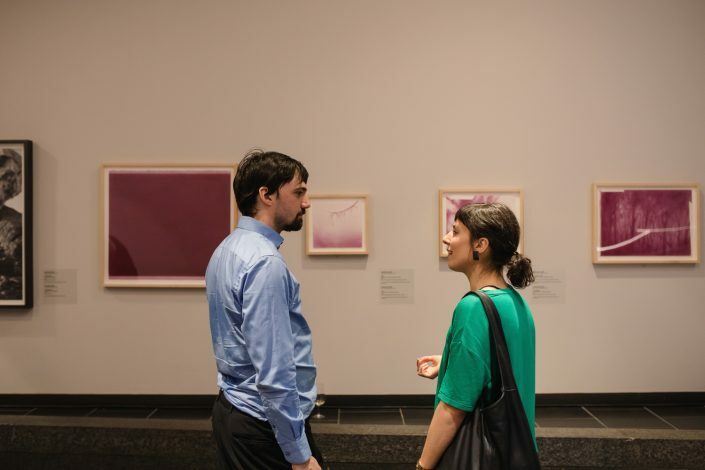 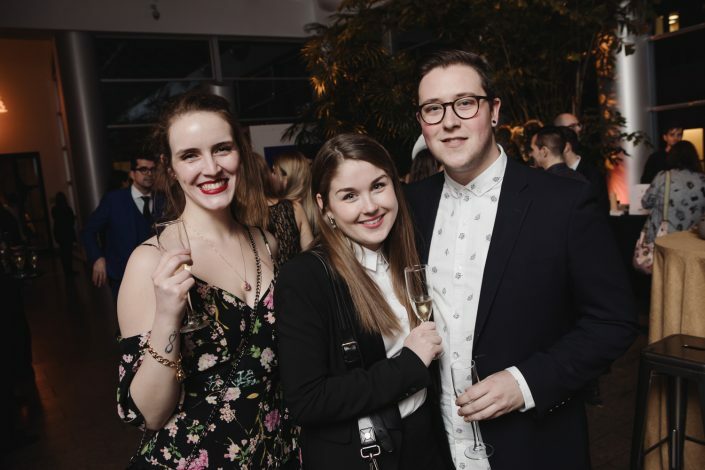 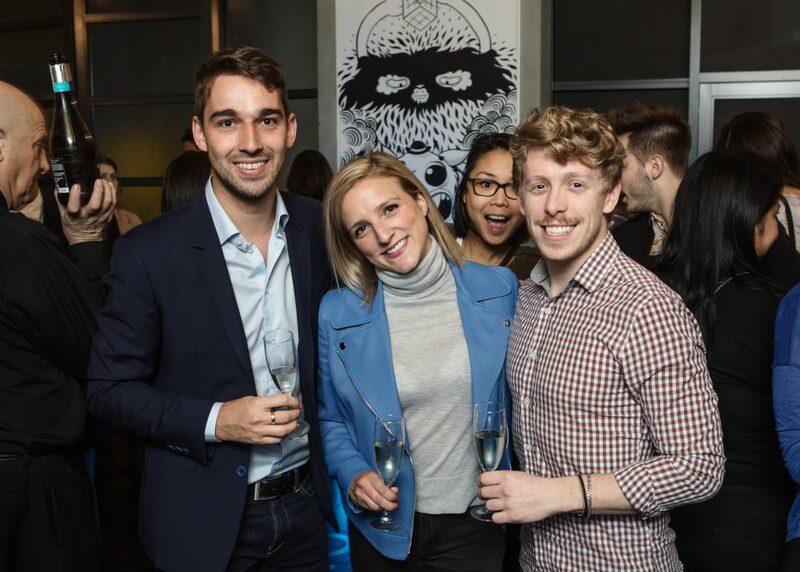 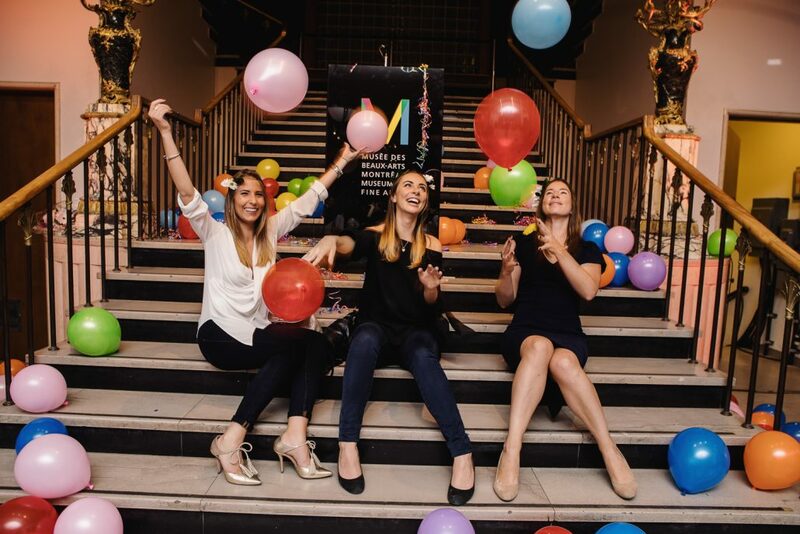 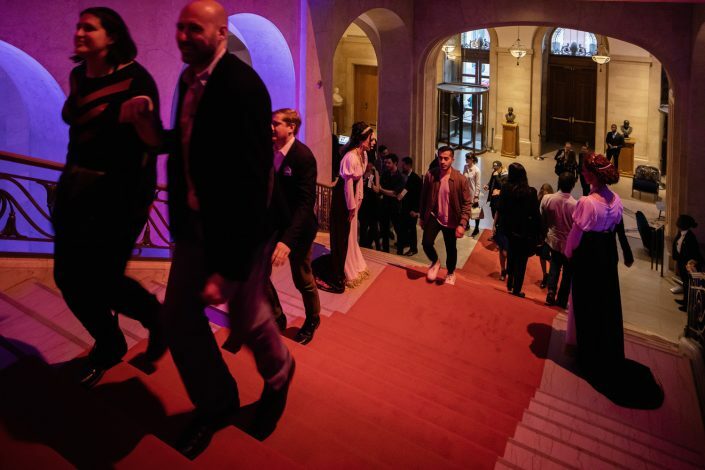 Closing its 5th season, the YPC brings together 500 culture-loving members around highly artistic and novel events to collect funds dedicated to the MMFA’s programme of contemporary art exhibitions. A lively and enriching twelfth Art Chat! 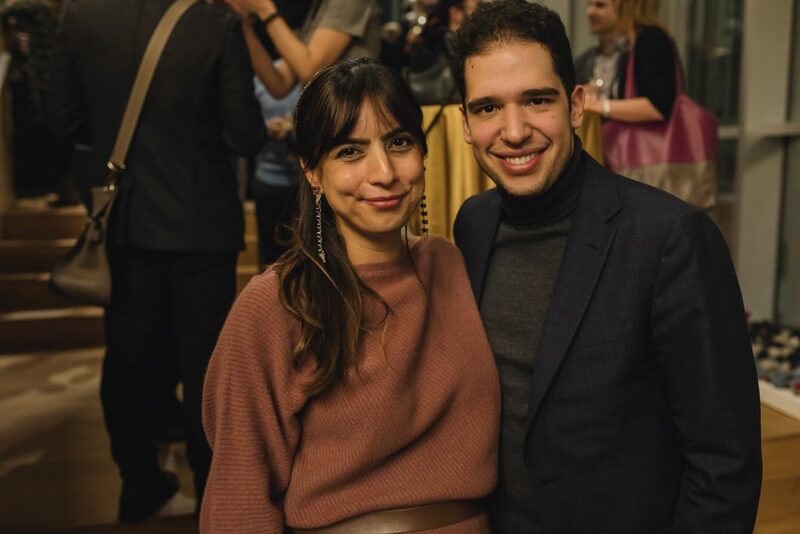 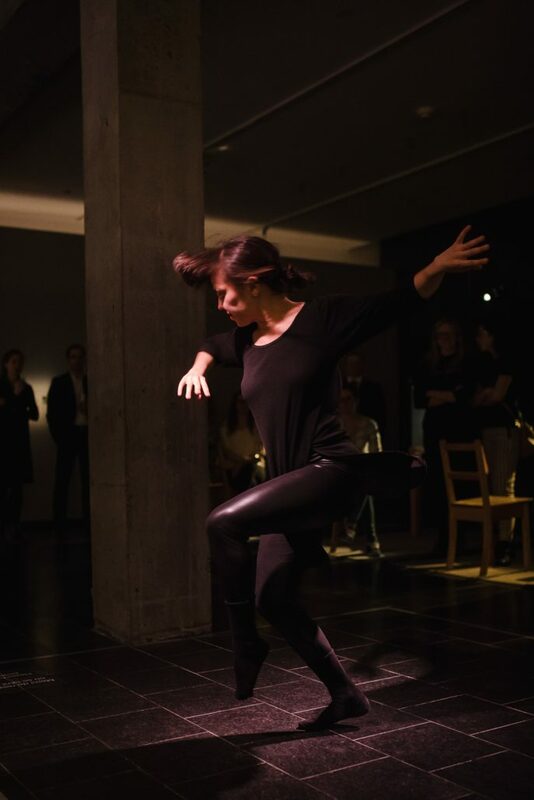 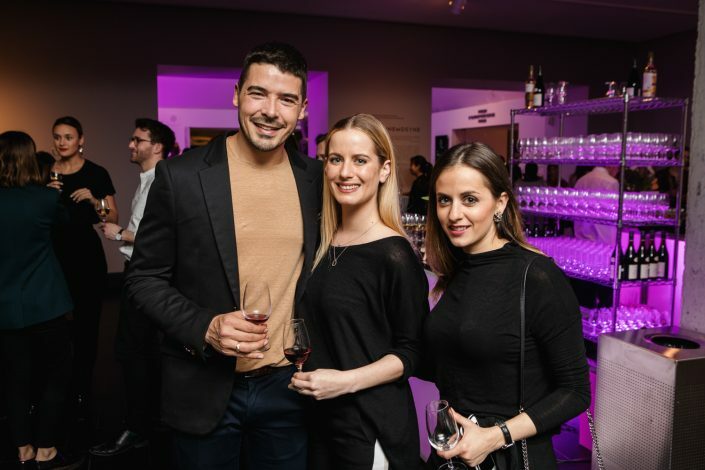 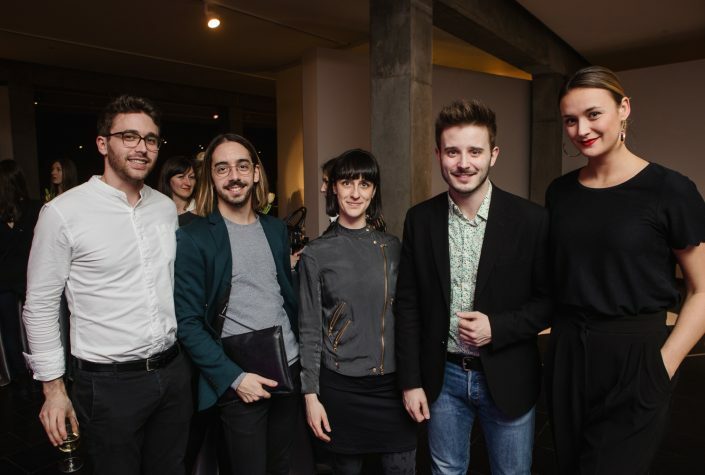 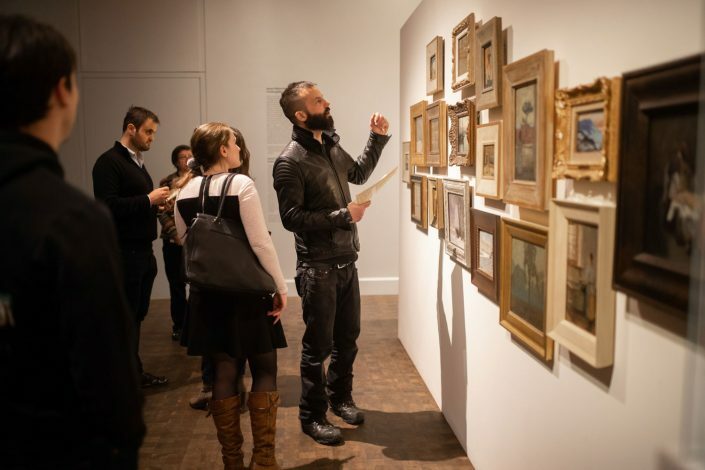 On Thursday, April 12, ahead of the 2018 Papier Art Fair, members of the MMFA’s Young Philanthropists’ Circle (YPC) presented by National Bank attended a unique event: two conversations with artists and the curator of contemporary art, a dance performance, a wine bar and Italian appetizers, all taking place in the heart of the galleries! 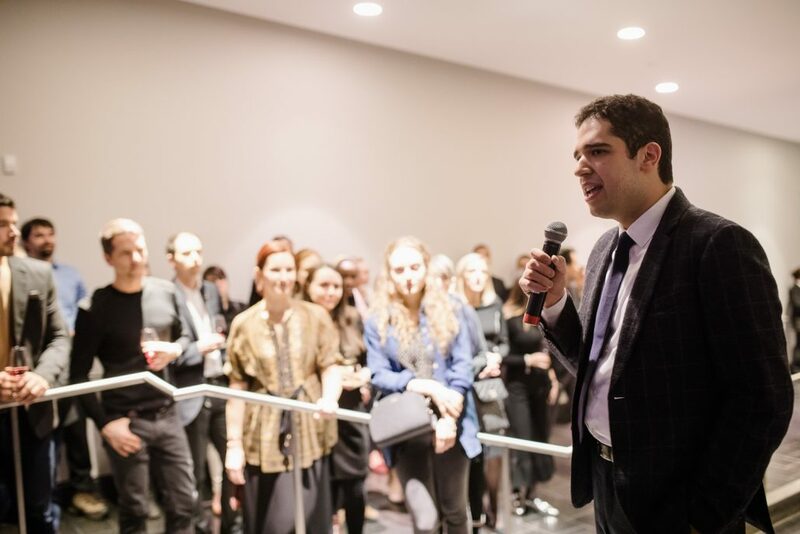 A few days from the opening of the 11th Papier Art Fair, guests were presented a retrospective of the works acquired by the Museum thanks to the support of the YPC and the contribution of André Dufour, in the presence of two visual artists: Andréanne Godin and Yannick Desranleau. 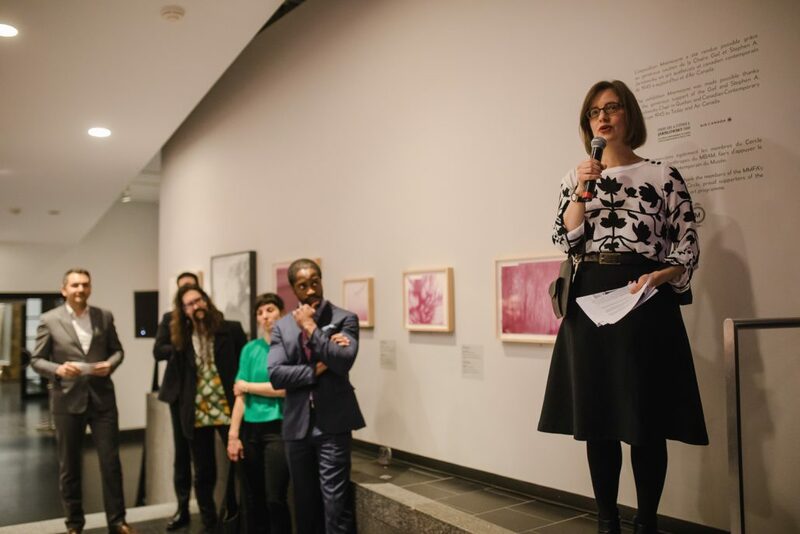 This discussion was followed by a second conversation on abstraction and figuration in art hosted by Geneviève Goyer-Ouimette, Gail and Stephen A. Jarislowsky Curator of Quebec and Canadian Contemporary Art (1945 to today). 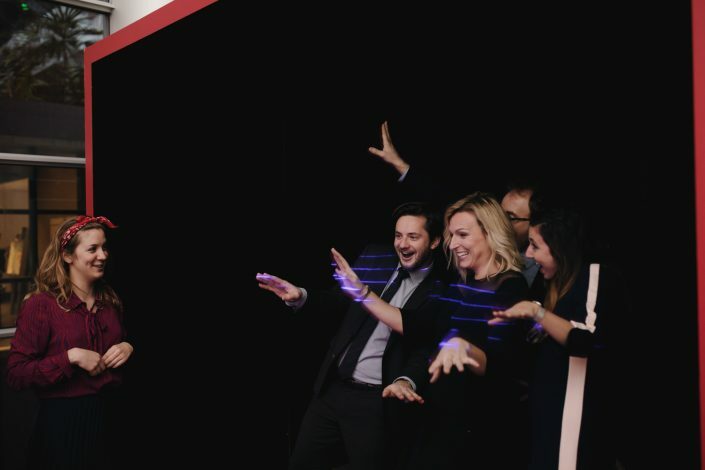 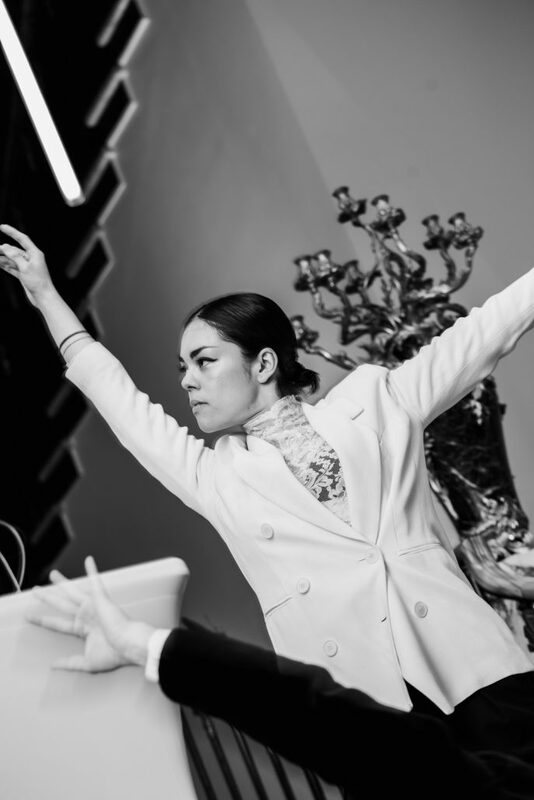 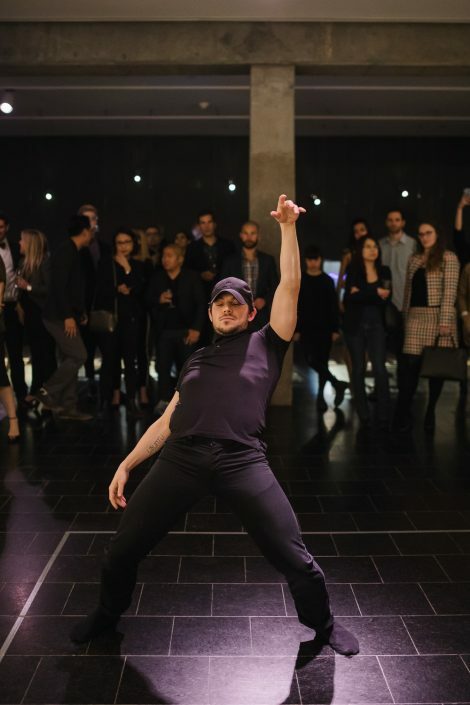 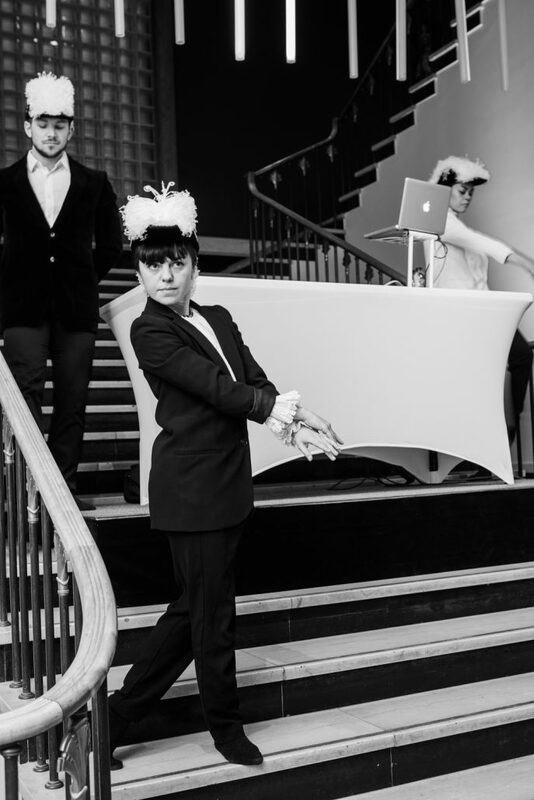 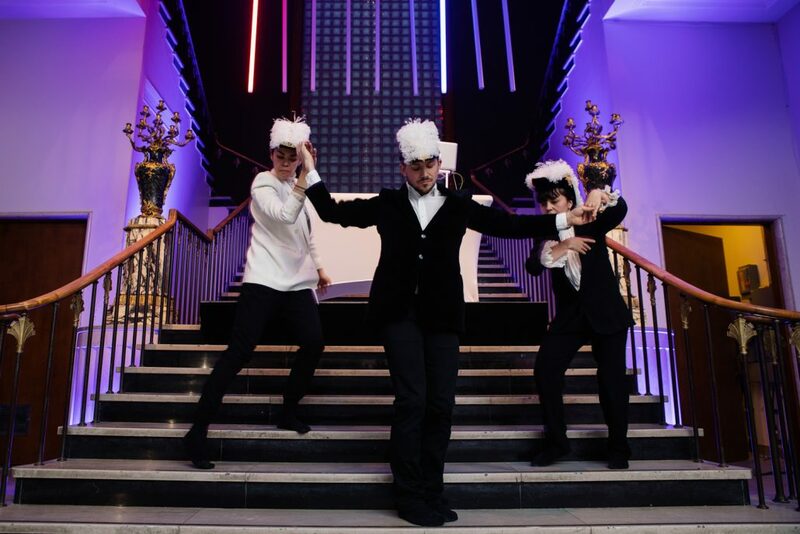 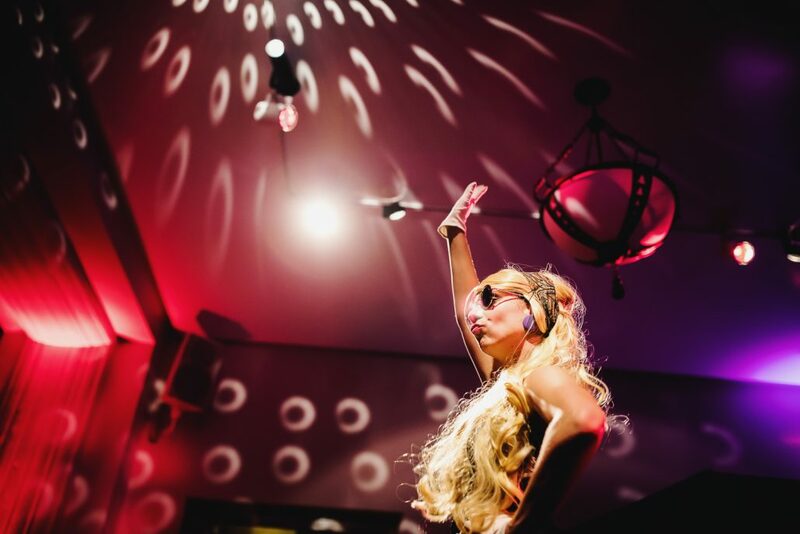 While savouring the appetizers provided by Industria, guests were also able to admire dance performances by Kevin Delaney and Laura Toma and enjoy the eclectic sounds of DJ LiamLiamLiam. The Museum acknowledges the unfailing support of National Bank, presenter of the YPC. The Circle also wants to thank its partners for this memorable evening: Industria, Univins Canada, Forand Évènements, ABP Sofa to Go, Eska, OXO Translations and Bell Jar Botanicals. 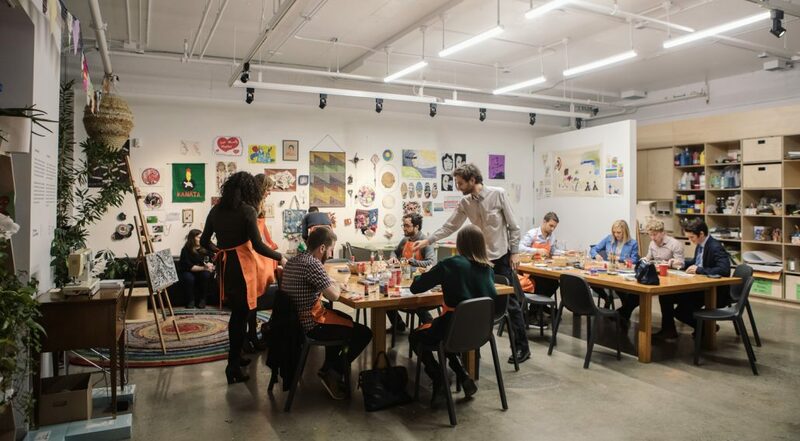 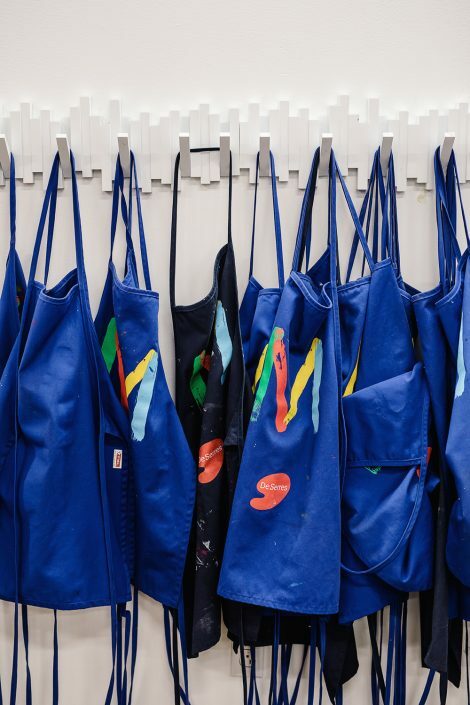 On Tuesday, March 6, members of MMFA’s Young Philanthropists’ Circle discovered the educational spaces at the heart of the Michel de la Chenelière International Atelier for Education and Art Therapy during a fun evening of creative exploration. 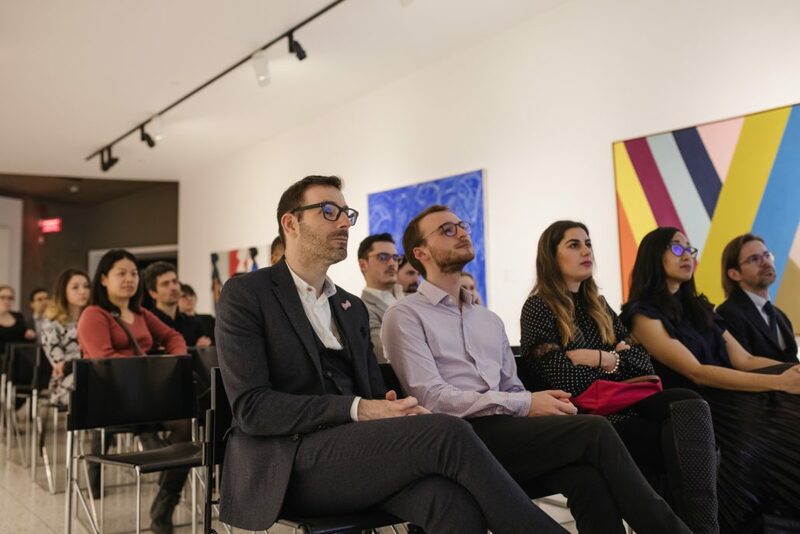 For this occasion, YPC members enjoyed a program filled to the brim with four creative workshops on the theme of still lifes. In addition to taking part in the workshops, the participants had the opportunity to discover and experience the MMFA’s Art Hive, a new multidisciplinary space for creation, in the company of art therapist and educational programmes officer Stephen Legari and Museum mediators. 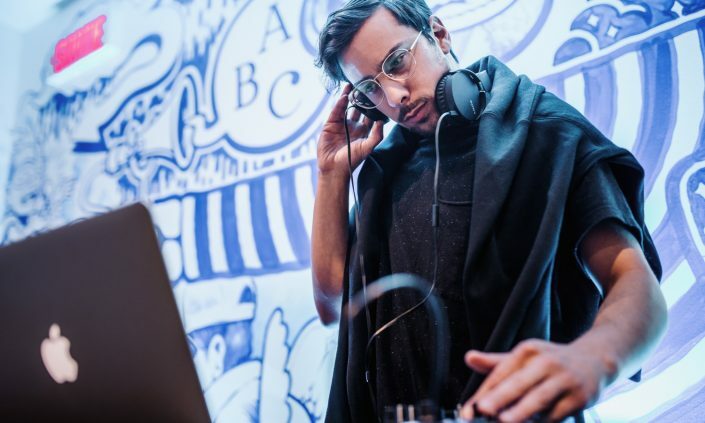 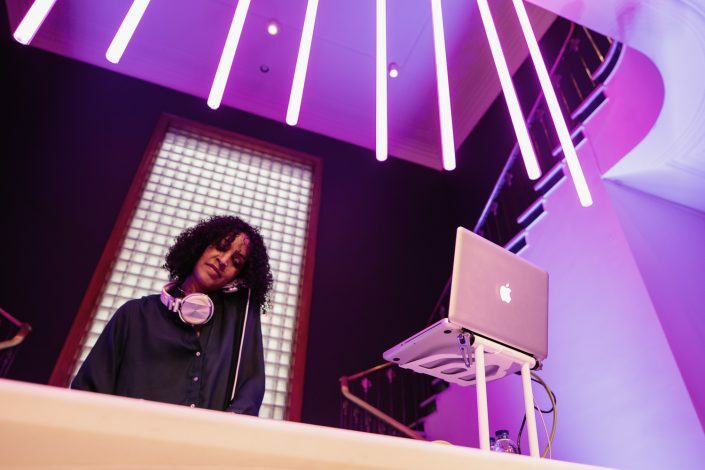 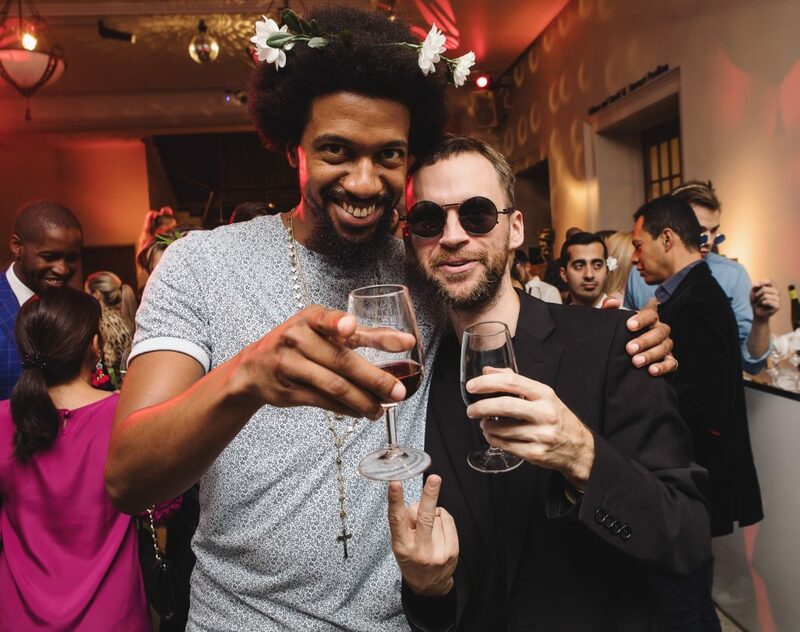 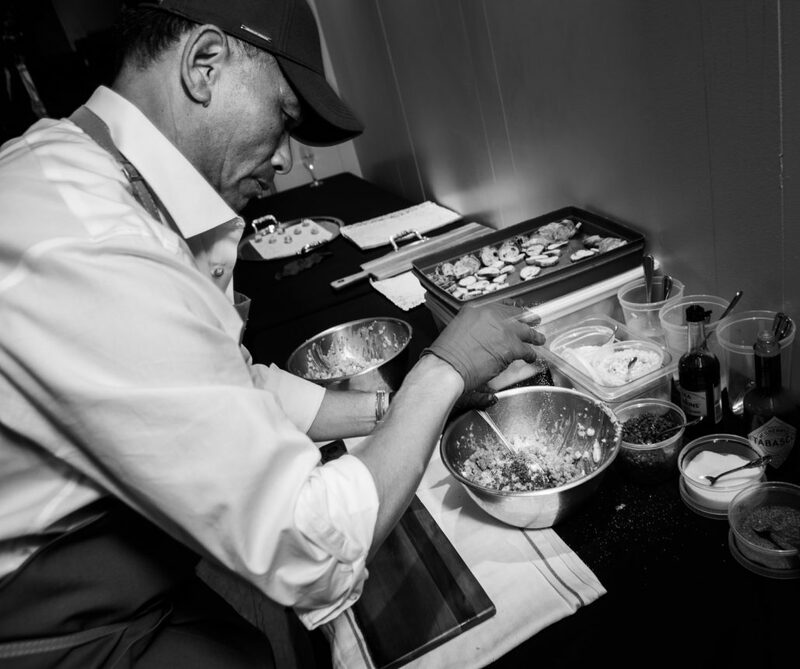 Between two creative workshops, while meandering through this lab dedicated to exploration, members were also able to enjoy a cocktail in an intimate atmosphere accompanied by sweet-and-salty bites, with musical inspiration from DJ Fruits. 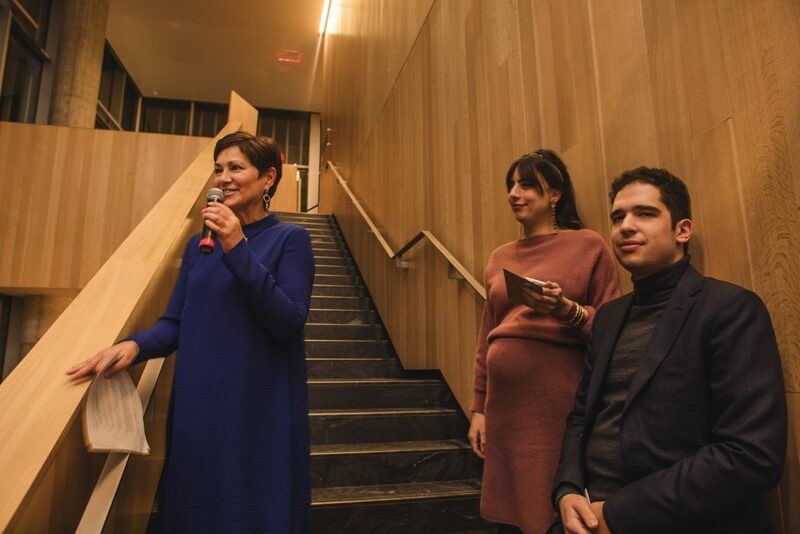 The Museum acknowledges the continued support of National Bank, presenter of the YPC, patrons Dominique Richer and Alain Sauriol, and the Kounadis Family, who supported the workshops. 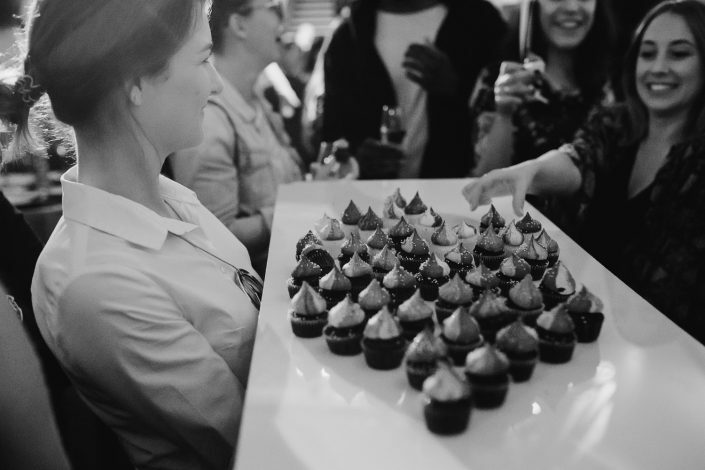 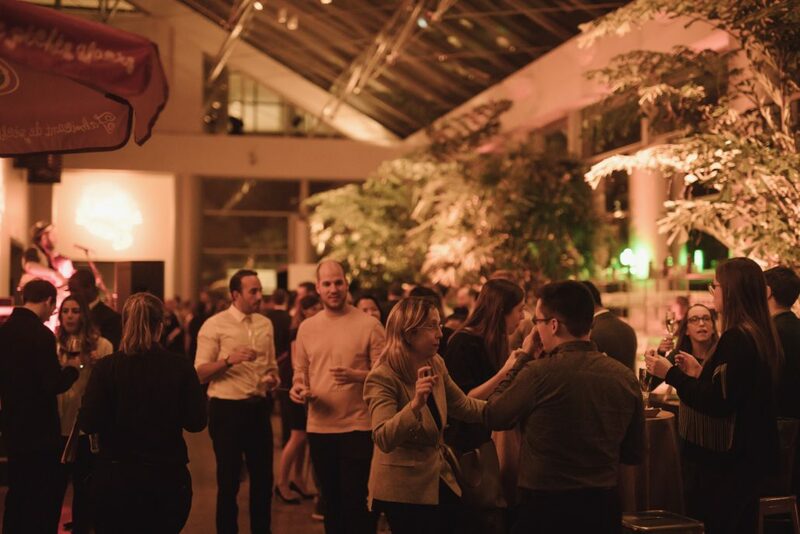 The YPC would like to thank DJ Fruits as well as this memorable evening’s partners: gastronomic partners Bar à Beurre and lloydies, Forand Évènements, ABP Sofa to Go, Eska, OXO Translations and Bell Jar Botanicals. 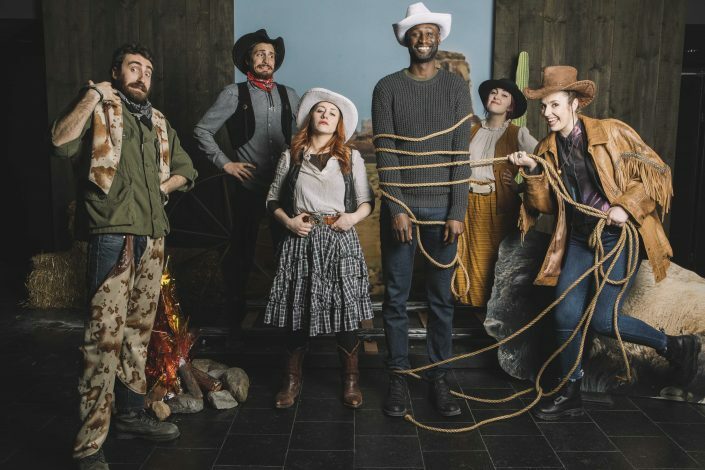 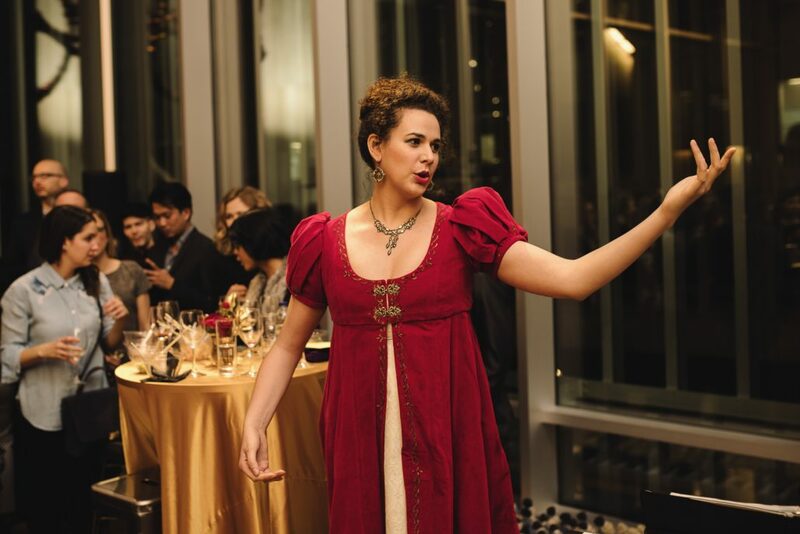 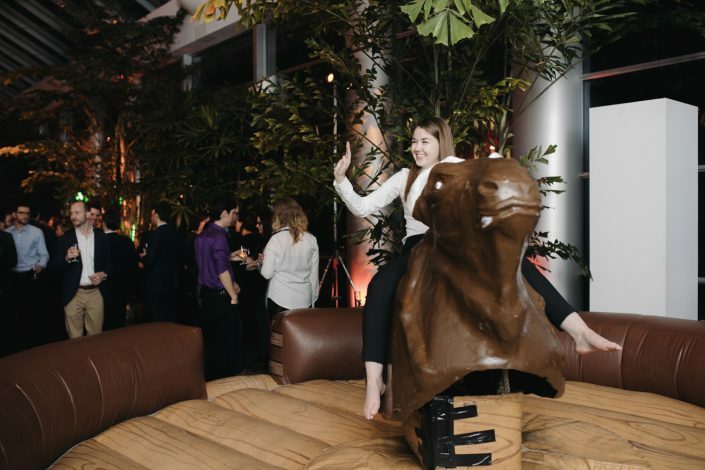 On Thursday, January 25, young professionals and around 400 members of the Museum’s Young Philanthropists’ Circle (YPC) were gathered during the Unplugged event for Once Upon a Time… The Western: A New Frontier in Art and Film. 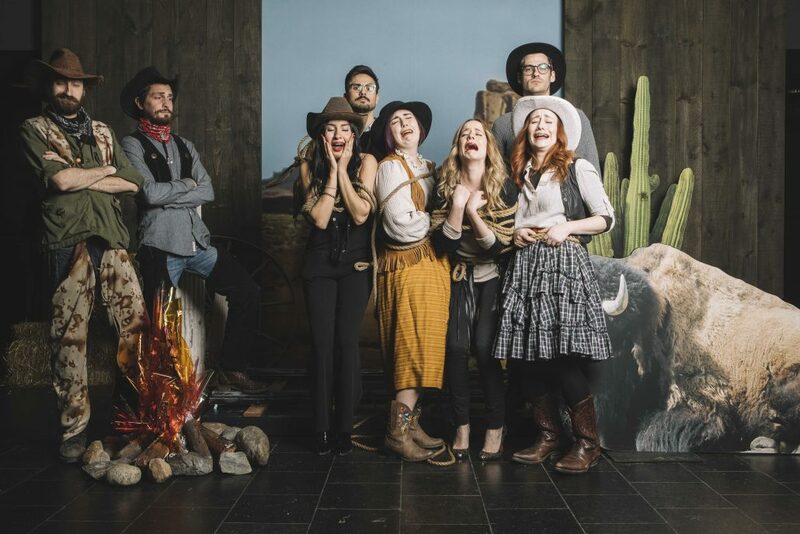 At sunset, these young professionals transformed into the greatest bandits, trappers and pioneers of the Far West. 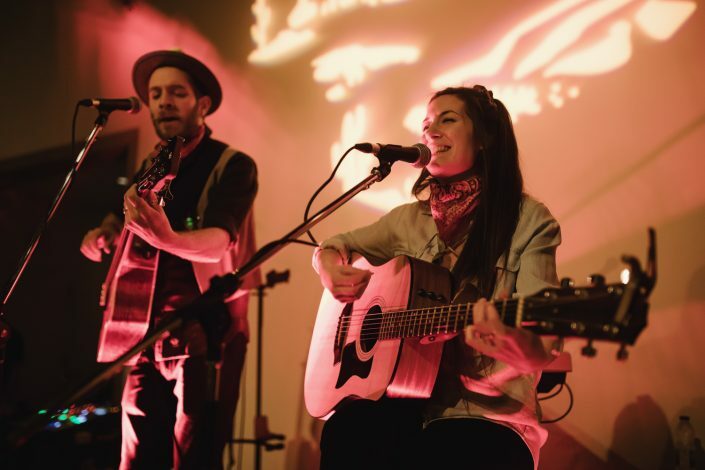 In this enchanting atmosphere accompanied by duo Stony Loner’s performance, they rediscovered the epic story of the Western and—equipped with a lasso or a cowboy hat—raised a toast to the first YPC event of the year. 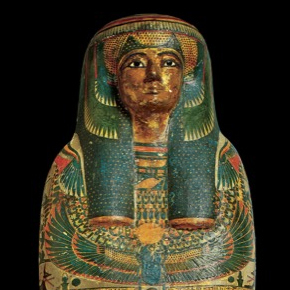 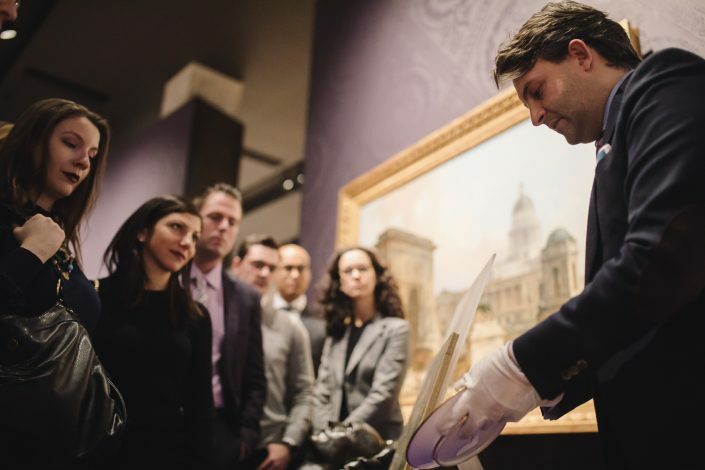 The Museum thanks National Bank, partner of the YPC, and Robinson Sheppard Shapiro who sponsored the event. The YPC would like to thank its partners for this memorable evening: Campo, Burrito Borracho, Le Bilboquet, Mr.Puffs Plateau, Reuben’s, Charles Meunier, Umberto Cesari, Bois&Cuir, Forand Évènements, Kloda Focus, Tenue de Soirée, ABP Sofa to Go, Eska, Rise, OXO Translations and Bell Jar Botanicals. 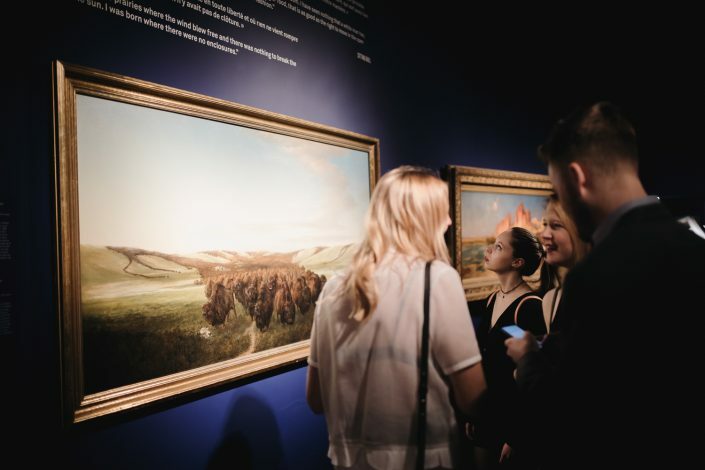 Art Chat No.10 – A look back at the imperial event! 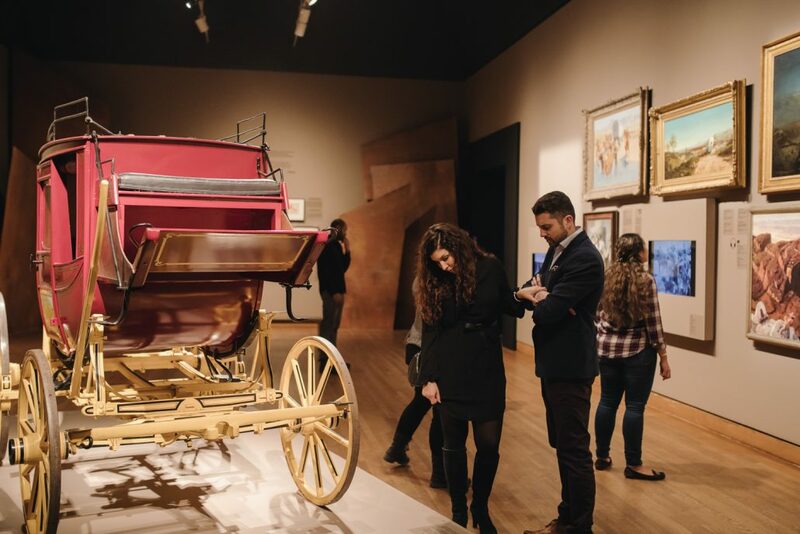 On Thursday, November 30, members of the MMFA’s Young Philanthropists’ Circle concluded the year with a most exclusive activity by going behind the scenes of the upcoming exhibition Napoleon: Art and Court Life in the Imperial Palace. The young patrons had the opportunity to discover unique works of art undisclosed to the public, some of which had never been presented in Canada or only been restored very recently. 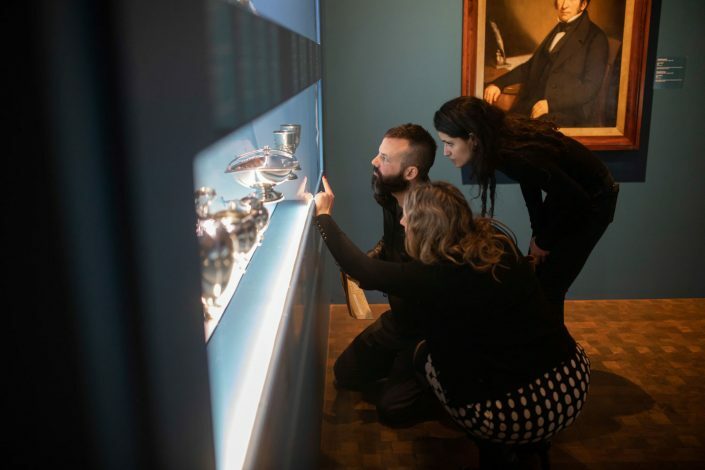 This came with erudite explanations punctuated by amusing historical anecdotes and stories from Sylvain Cordier, Exhibition Curator and Curator of Early Decorative Arts. 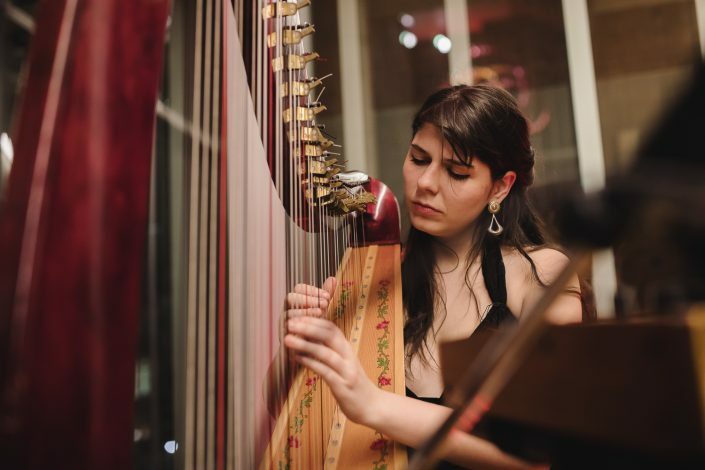 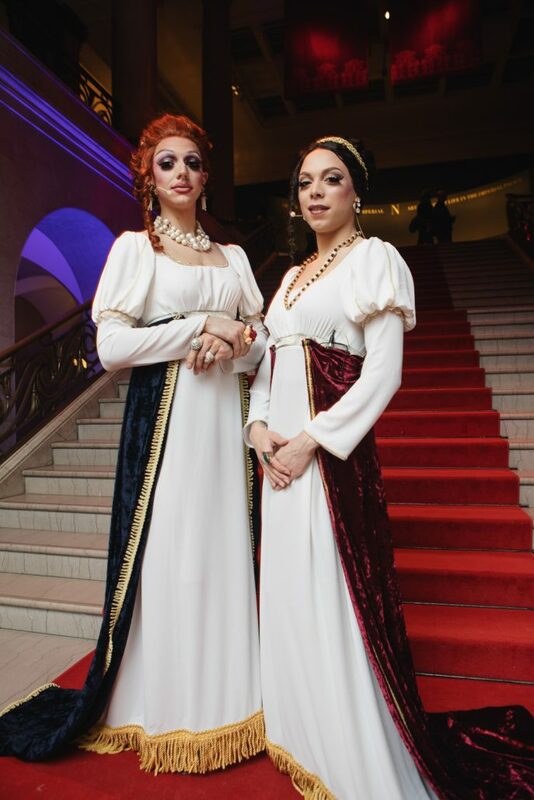 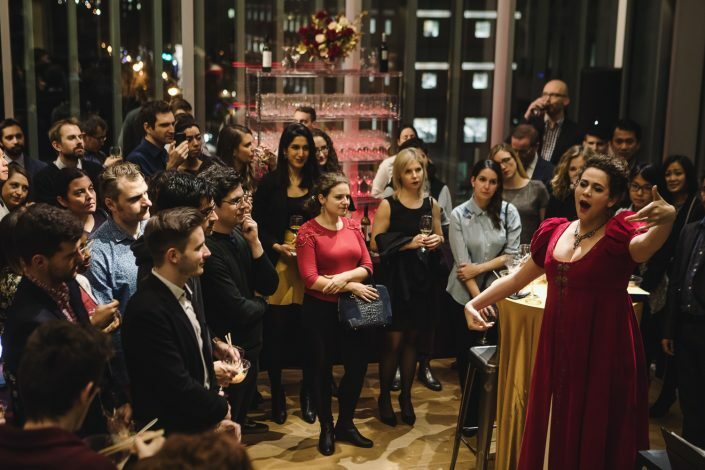 This lavish cocktail reception was the perfect setting to admire the operatic performance of artist-in-residence Rose Naggar-Tremblay, from the Opéra de Montréal’s Atelier Lyrique, and to explore the galleries of the Michal and Renata Hornstein Pavilion for Peace. 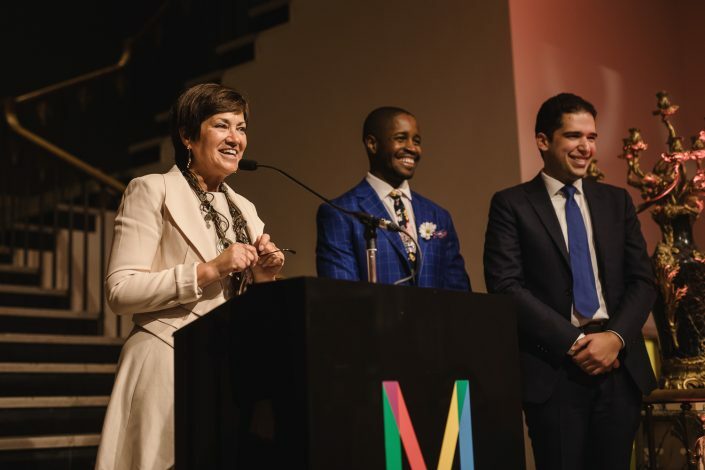 The Museum thanks National Bank, partner of the YPC, and the Kounadis Family, patron of the Art Chats, for their unwavering support. 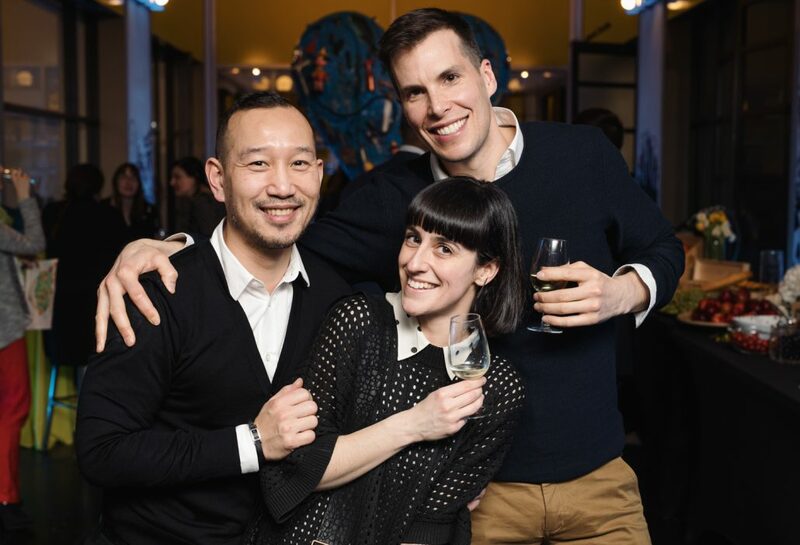 The YPC would like to thank its partners for this memorable evening: gastronomic partners Kampai Garden and Le Richmond, Les vins Alvin, Forand Évènements, ABP Sofa to Go, Eska, OXO Translations and Bell Jar Botanicals. 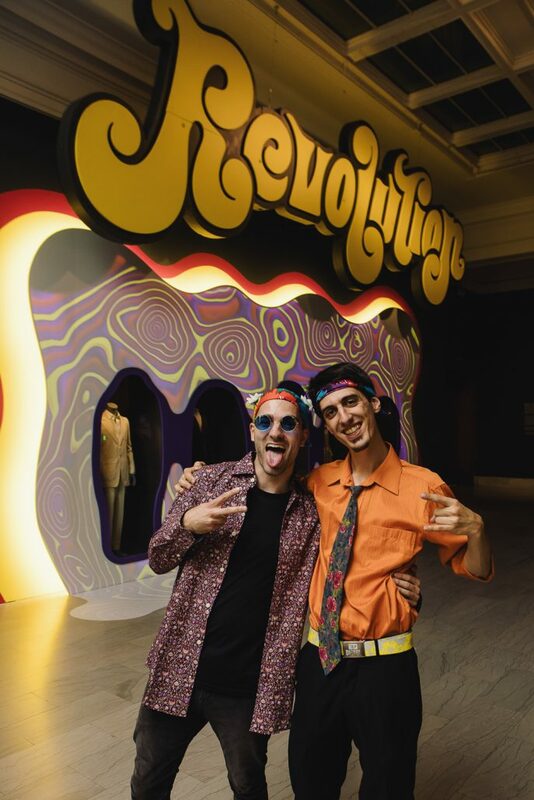 Revolution Unplugged: A colourful blast from the past! 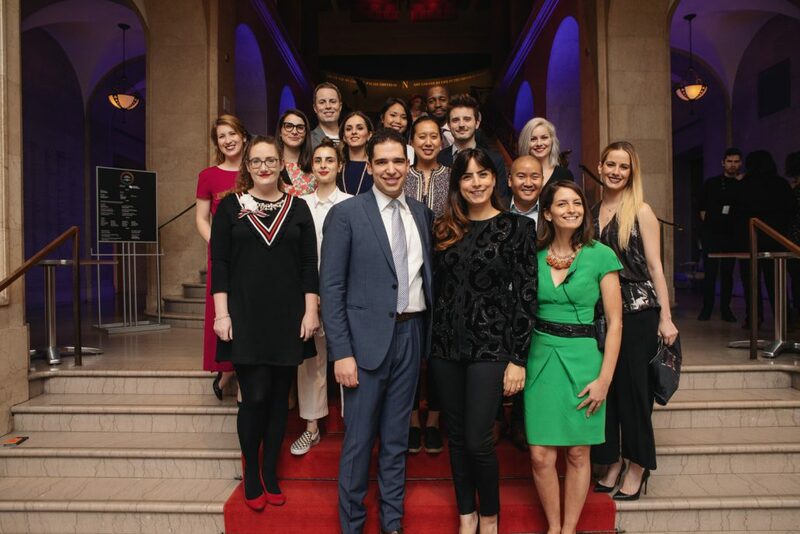 In addition to discovering or rediscovering the Museum’s major summer exhibition, the event was an opportunity to celebrate the 5th anniversary of the MMFA Young Philanthropists’ Circle, highlighting the young professionals’ commitment to “their” Museum. The event therefore celebrated the 500 members whose efforts have contributed to collecting nearly half a million dollars for the Museum since 2012. The entire Foundation and Museum team were proud to wish them another happy anniversary, while hoping for the opportunity to celebrate many anniversaries to come. 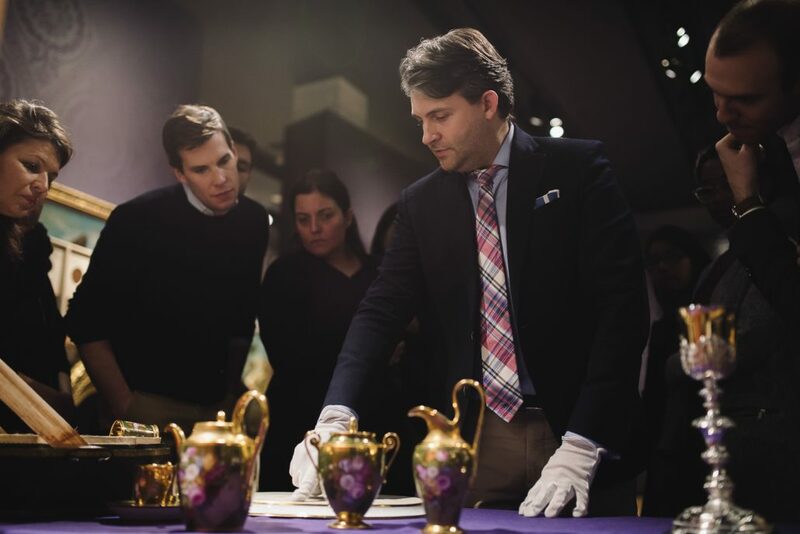 The Museum would like to thank National Bank, presenter of the Young Philanthropists’ Circle, for its continued support. 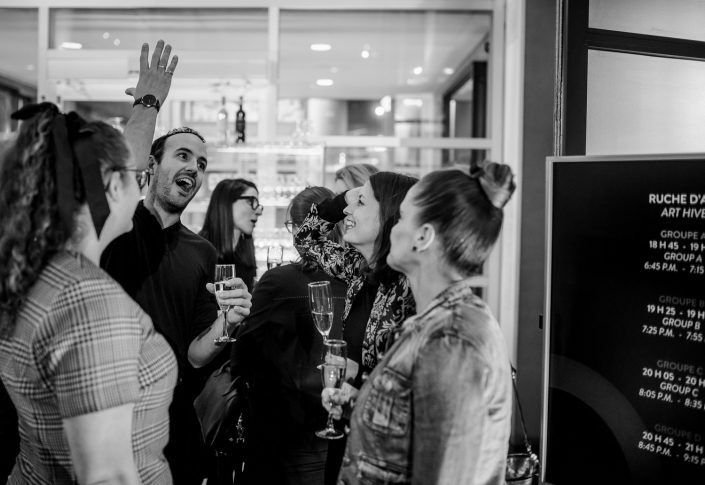 The YPC would also like to acknowledge the support of its event partners, Le Richmond, Tiradito, Forand Évènements, Bar à Beurre, Squish, Boozipop, ABP – Sofa to go, Bell Jar Botanicals, Moog Audio, Beam, Eska et Maple3. 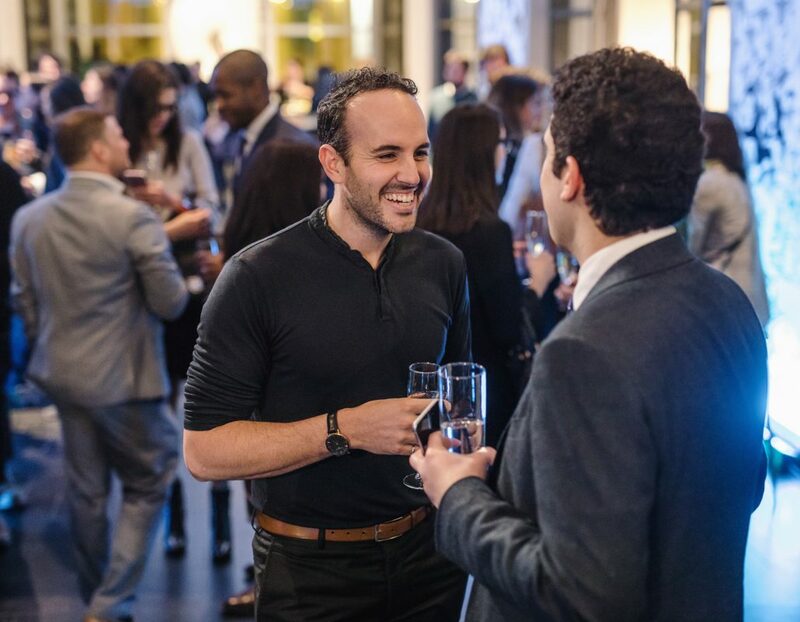 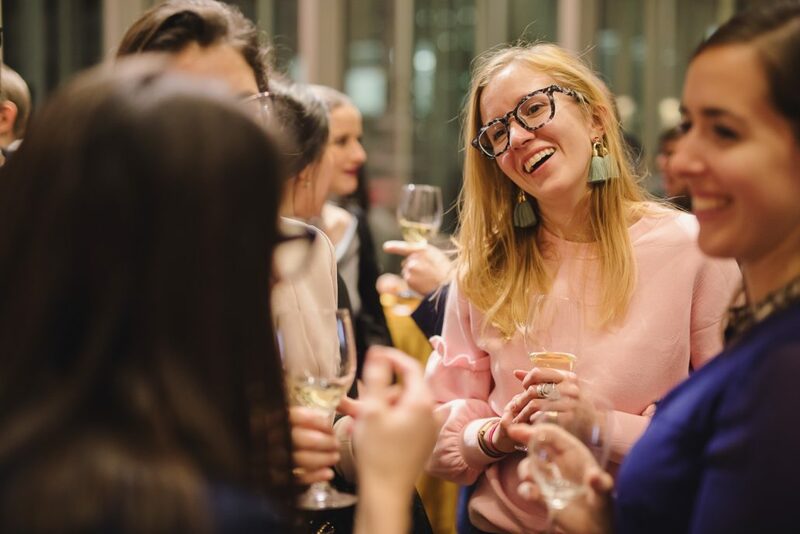 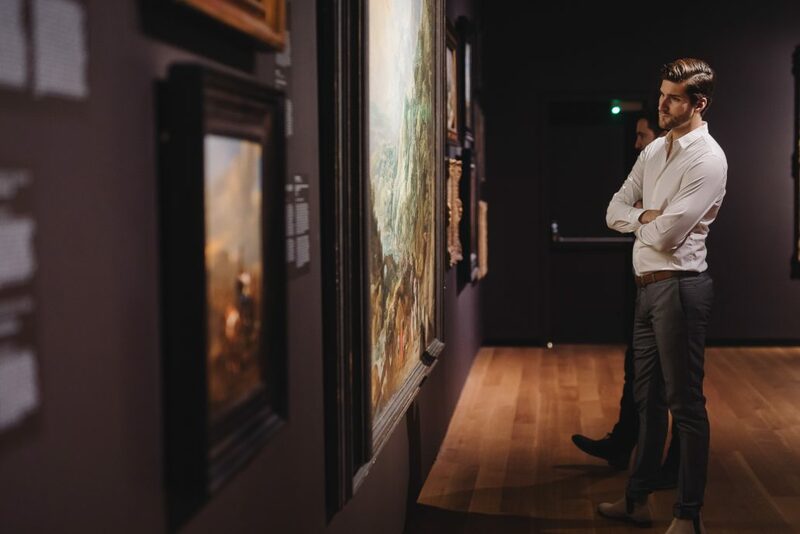 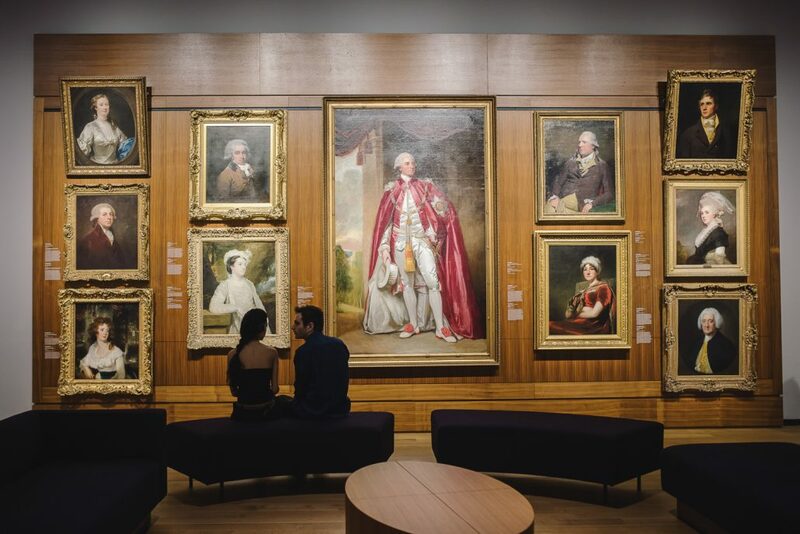 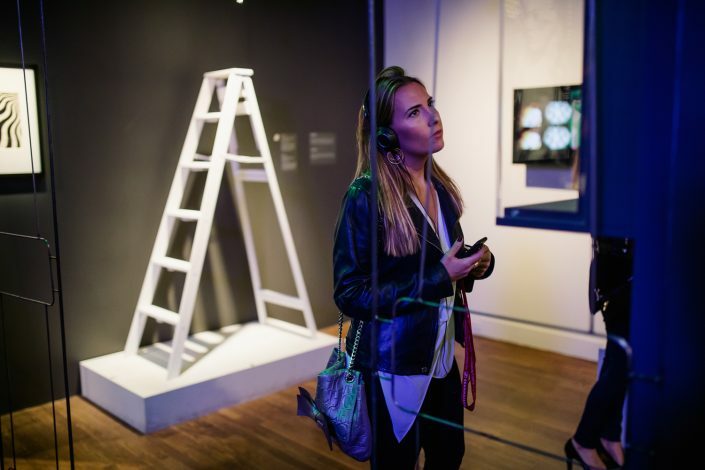 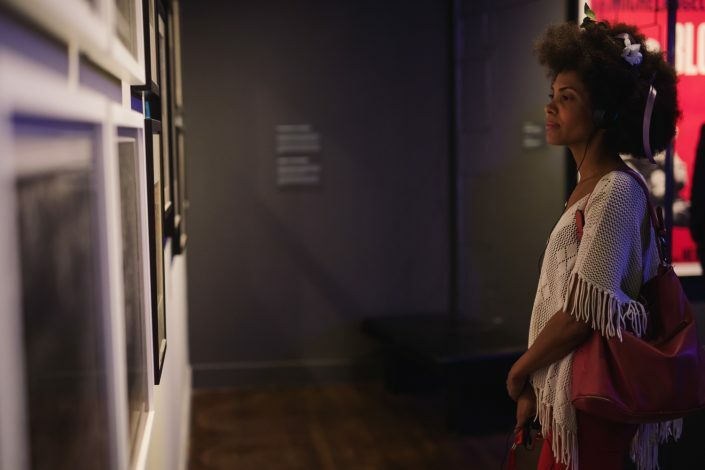 By participating in innovative exclusive events, develop your knowledge of art and philanthropy in the company of other young professionals aged 25 to 45. 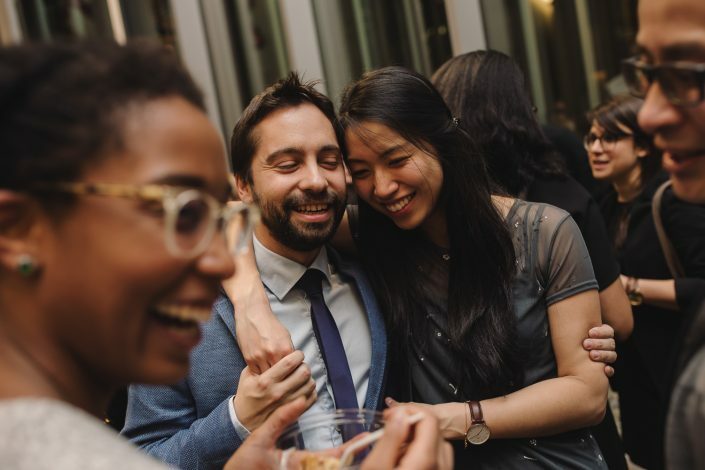 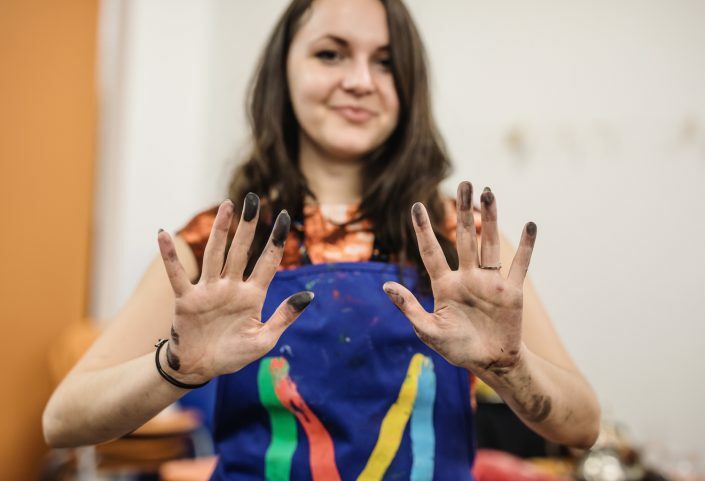 In addition to these activities, as a Circle member, you will enjoy invitations to events held by our cultural partners, like the Darling Foundry. Follow us on Facebook to find out about these events. 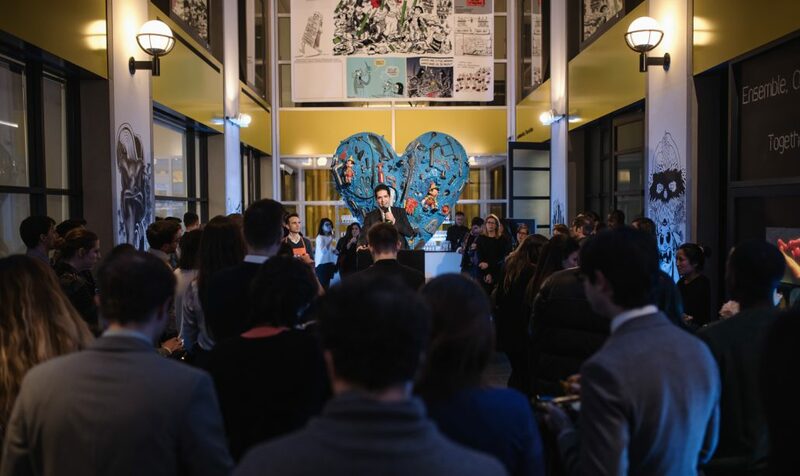 Philanthropy is not simply a financial commitment; being a philanthropist requires the utmost dedication. 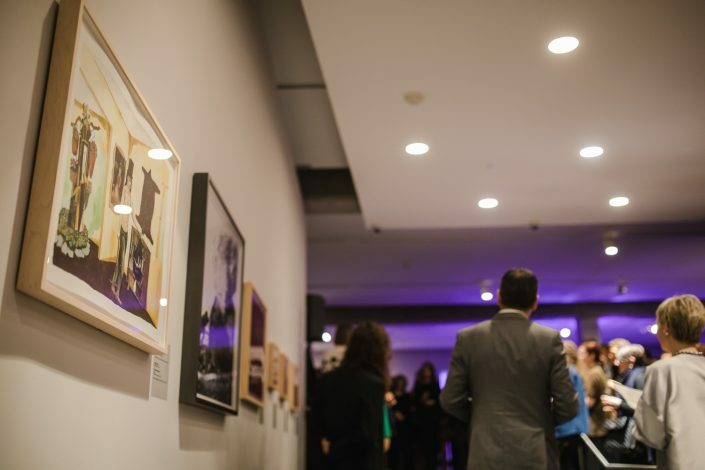 At the Museum, philanthropy is an opportunity to learn more about art while contributing to the vibrancy of Montreal’s cultural scene. It is also a way to support one of Canada’s premier cultural institutions. 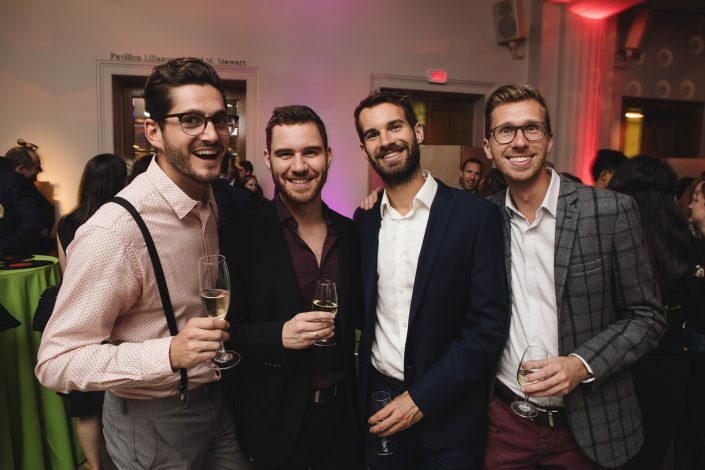 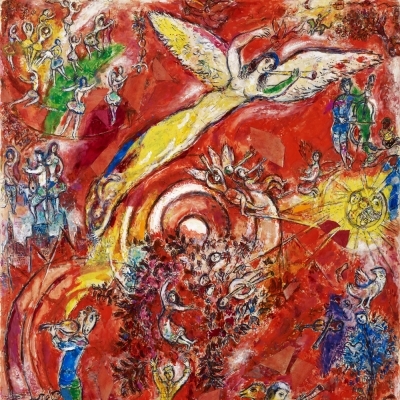 The Young Philanthropists’ Circle is an initiative of the Montreal Museum of Fine Arts, in collaboration with the YPC’s volunteer Organizing Committee, made up of some twenty young professionals. 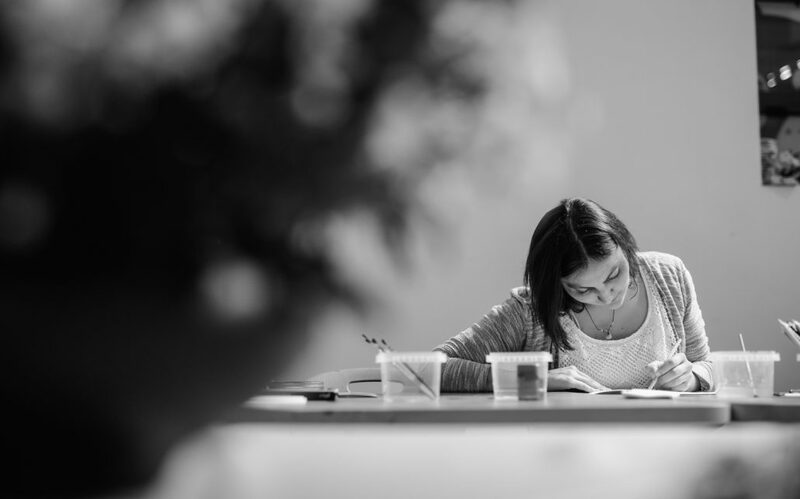 Need more info about the YPC?